Manuel Blanco Romasanta is said to be the first serial killer in Spain documented as having admitted to thirteen counts of murder. What makes Romasanta a topic of discussion around cryptid circles is not what he did but how he did it. Romasanta maintained he was not responsible for the murders because he was under a malevolent curse that turned him into a wolf – a werewolf! 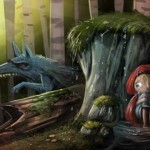 It would seem, once in the hands of the authorities, a werewolf wouldn’t be able to hide its secret for very long. So does that mean Romasanta wasn’t really werewolf or that werewolves don’t actually exist? To be blunt – absolutely not! After all, this is how cryptids stay – cryptids. This story may be one of simple clinical cryptanthropy or in the case of Romasanta, clinical lycanthropy to be specific. While a mental condition sounds plausible to those with a pervasive normalcy bias, Romasanta’s success as a serial killer begs for a broader understanding of the werewolf cryptoculture. 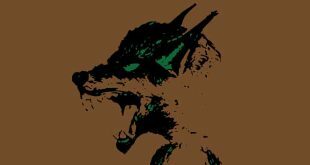 The most popularized and overrated technique werewolves use to remain hidden among the human race is their ability to shape shift. 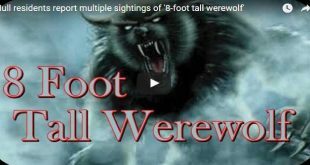 That may look great on the big screen with Hollywood special effects but in reality it does little to protect a cryptid who wants to hunt the real thing – us! 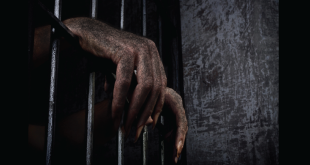 In practice, killing human prey and covering your tracks is not very easy – even for a werewolf. Only so many deaths can be attributed to accidents and animal attacks before people start to wonder. That’s where people like Romasanta fit into the scheme of things becoming perfect cover and eventually the fall guy for a werewolf’s feeding. The true story of Manuel Blanco Romasanta is a lesson on how the werewolf cryptoculture manipulates the mentally ill for its purposes. Romasanta lived most of his life in Galicia, a small town in the province of Orense, where he had been living a comfortable life as a tailor. After the death of his wife, Romasanta abandoned tailoring and left Galicia to take up the life of a salesman; travelling through Castile and Portugal. The first indication a werewolf may be behind the murders is the fact that the first known murder attributed to Romasanta occurred after he traveled out of Galicia. Werewolves are known to conceal their identities in part by distributing their victims over as wide an area as possible. 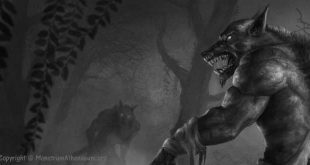 The last thing a werewolf wants to do is use up his proxy by killing a local where the proxy lives. The first known victim, Vicente Fernandez, a constable, was found dead in 1844 and Romasanta was judged by default after he failed to appear on the trial and was sentenced to spend ten years in prison. Romasanta fled imprisonment with a false passport and conveniently found work offering his services as a guide to travelers. Over the next 8 years, Romasanta murdered the women and children who had entrusted him to guide them through the mountains. Either by his own hands or at the jaws of a beast laying wait for the delivery of its next meal along those lonely trails, the effects were the same. Thirteen people were murdered violently and cruelly. As yet another telling sign of a cryptid’s handy work, Romasanta was well organized and methodically covered up the murders by delivering false messages from the victims to their families saying they made it to their destination safely. As a record of his depravity, witnesses first alerted the authorities to their suspicions that he was selling the victims’ clothes and rendering soap from their body fat. “The first time I transformed, was in the mountains of Couso [Spain]. I came across two ferocious-looking wolves. I suddenly fell to the floor, and began to feel convulsions, I rolled over three times, and a few seconds later I myself was a wolf. I was out marauding with the other two for five days, until I returned to my own body, the one you see before you today, Your Honour. The other two wolves came with me, who I thought were also wolves, changed into human form. They were from Valencia. One was called Antonio and the other Don Genaro. They too were cursed… we attacked and ate a number of people because we were hungry.” — Manuel Blanco Romasanta. Romasanta was acquitted on four of the murders for which he was charged because evidence indicated the victims were attacked by a wolf. Romasanta was found guilty of committing the remaining nine murders for which he was charged and was sentenced to die in April 1853. His sentence was later reduced to life imprisonment due to the intervention of Queen Isabel II. There exists very little documentation on record about the last days of Romasanta’s life except for the documented order of Queen Isabel II to transfer Romasanta to Celanova. What of the werewolf? No one knows for certain but if there was one, most certainly the creature was quite pleased with itself.